Four kids: 23, 21, 16 and 11. My three older ones are mostly away from home - either at work, college or at a summer jazz camp. Our home is pretty close to being an empty nest. However, my youngest will always be my baby. In fact, I was away for three weeks, and when I got back, my youngest seemed like he grew. I must have missed him so much because I haven't stopped taking his pictures with my iPhone. I just loved capturing his every emotion. Anyway, earlier this week, he approached hubby and I. He wanted to start saving money. My kids don't get any allowance - they never did. And they always have chores to do. I tell them that as family, we all have to chip in -- help a little to make it easier for every one. 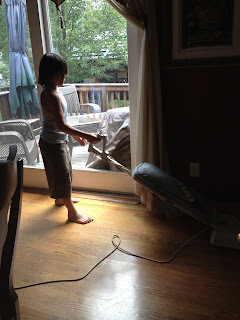 Aside from doing chores every week, my children managed to find means of making money: My third child has been teaching piano since he was 10, and the two older ones always worked in various places - restaurants, fast food, bakery, retail, and website maintenance. But my youngest -- I didn't think he's at the age where he wanted to make money. He saved whatever he got from modeling/commercials. But I guess, he is getting older. He had been putting together a proposal for his "walking the dog" business. Although, I wasn't taking him seriously -- because he's still little, as far as I'm concerned. So today he asked, "Mom, didn't you get the memo?" "Mom, I am not a baby anymore. I am older now." he said. Interestingly, he's been trying to be independent for years now. And as most studies state that during the middle childhood (9-11 years old), the child's growing independence from the family and interest in friends are obvious by now. The CDC website offers a lot of helpful tips in dealing with our children, but of course, your judgment counts the most. One of the things my little guy really wants to do is to be able to have his own money. 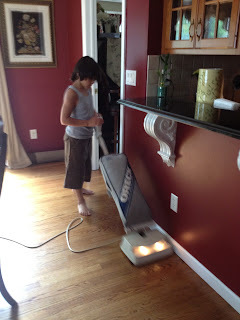 So he negotiated a job agreement: Vacuum the entire house for $10. and worked for 2 hours -- earned his $10 for the week. 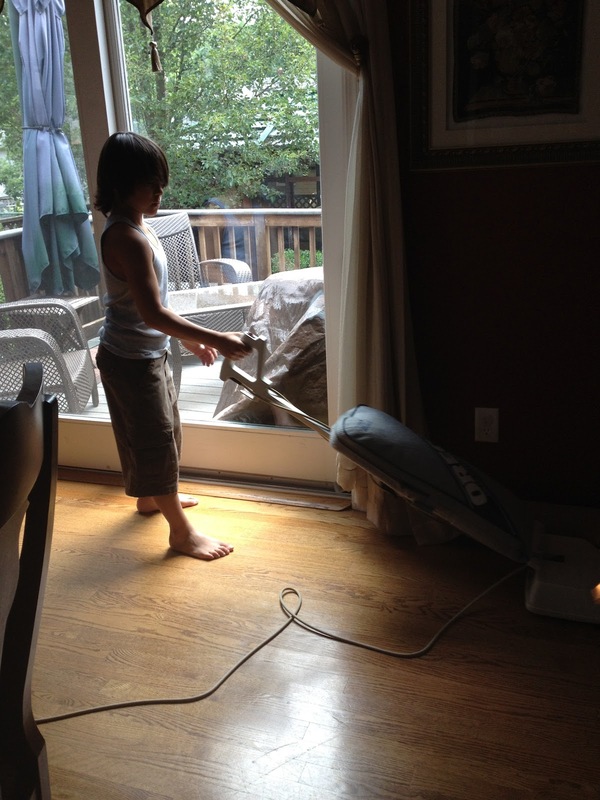 Granted, the vacuum cleaner is taller than he is, I can tell that my little guy will grow up to be a hard working person. 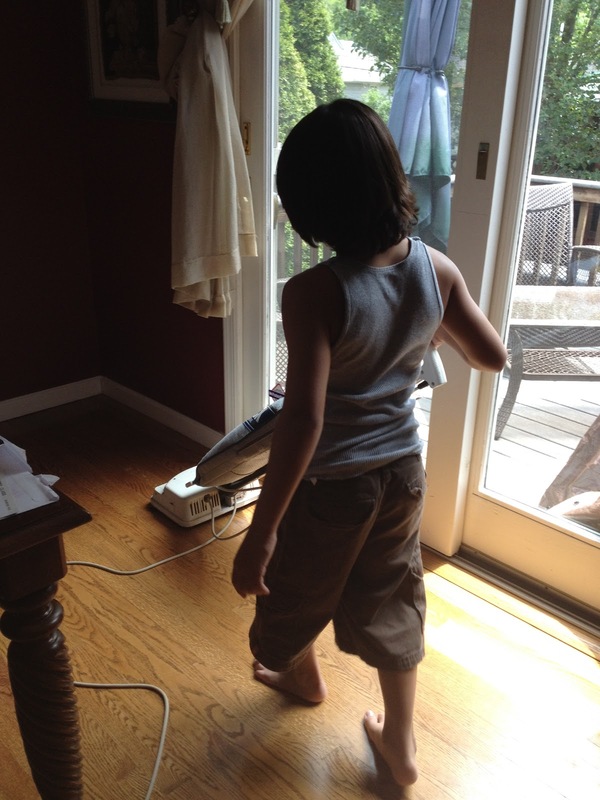 He is already planning a business model for his vacuuming service. But regardless of what he says, he'll always be my little guy. So later today before I left the house, I asked him to drop what he's doing and give me a hug and kiss. "Didn't you get the memo? I'll always be your mom, and you'll always be my baby." I said. Motherhood. It's not a job. It's a gift.